This second volume in MacDonald’s magnum opus carries forward the work begun in MacDonald’s first volume in the same series. In this volume, MacDonald draws comparisons between Luke-Acts and the ancient texts of Euripides’ Bacchae, Vergil’s Aeneid, and the images of Socrates in Plato and Xenophon. For readers familiar with MacDonald’s rich legacy of work on Homer and the New Testament, this volume will offer some welcome surprises…. MacDonald is clearly at the forefront of the intersection of classics and the New Testament. As with all of his work, the thinking is original, the scholarship is meticulous, and the conclusions are hotly debated. This volume is required reading for scholars of Christianity’s interaction with the Greco-Roman world and its literature. No one has a knack for discovering parallels between the gospels and classical Greek and Latin literature quite like that of MacDonald. 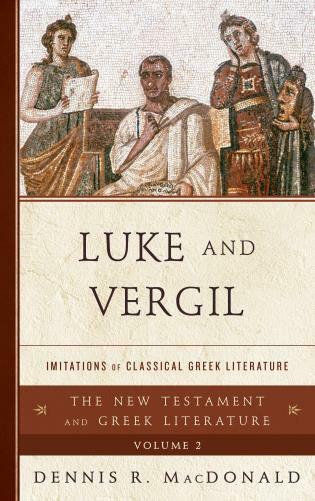 After reading this, one cannot but feel tantalized by his argument that Luke sought to imitate and in the process transform such classics as Vergil's Aeneid, Euripides' Bacchae, and Plato's Socratic dialogues. This work is truly the capstone to MacDonald's lifetime of research into the rich interplay between gospel traditions and the classical heritage, which so indelibly shape Western thought and literature. Persuasive, magisterial, thorough in scope. Maps many points of intersection between Luke-Acts and the literature of Greece and Rome. 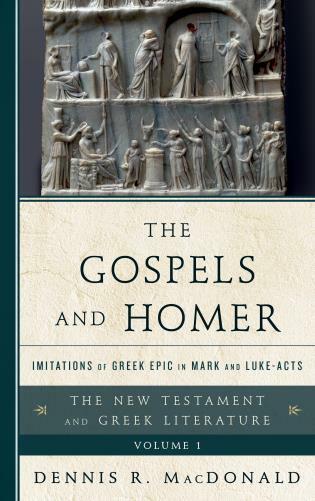 Firmly situates Luke-Acts within a Greco-Roman literary context. Essential resource for scholars of Luke-Acts and of early Christianity in its Roman setting. In Luke and Vergil MacDonald proposes that the author of Luke-Acts followed Mark’s lead in imitating Homer’s Iliad and Odyssey, but greatly expanded his project, especially in the Acts, but adding imitations not only of the epics but also of Euripides’ Bacchae and Plato’s Socratic dialogues. The potential imitations include spectacular miracles, official resistance, epiphanies, prison breaks, and more. 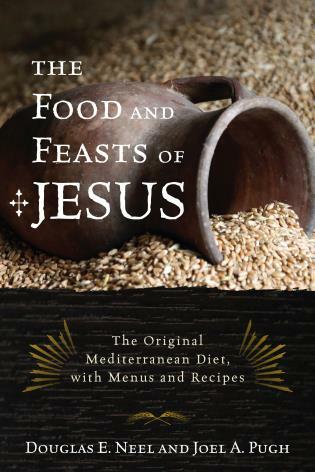 The book applies mimesis criticism and uses side-by-side comparisons to show how early Christian authors portrayed the origins of Christianity as more compelling than the Augustan Golden Age.